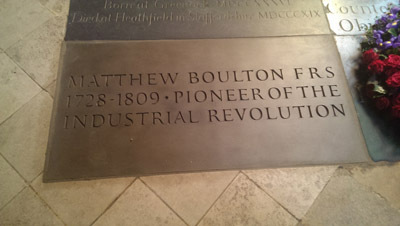 The life of industrial revolution pioneer Matthew Boulton and founder of The Birmingham Assay office has been celebrated in a service dedicating a memorial to him at Westminster Abbey. plaque to immortalise Matthew Boulton’s achievements. 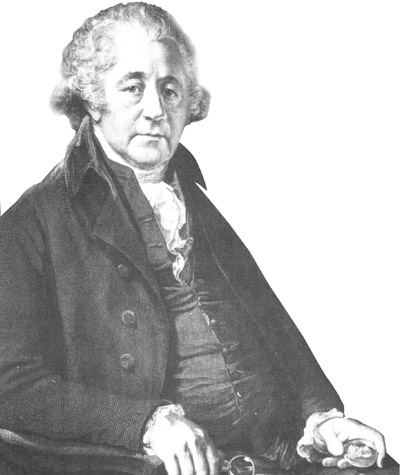 Matthew Boulton was born in Birmingham in September 1728, the son of a buckle and button maker. In 1760 he began building the Soho Manufactory in Handsworth. Jewellery, silverware, and coins from his workshops were exported across the world. He was a partner in Boulton & Watt, founded in 1775, which designed and produced steam engines and had a major role in the industrial revolution, and established the Soho Mint in 1788. He was also a founder of the Lunar Society, Birmingham’s informal society of industrialists, intellectuals, and scientists. 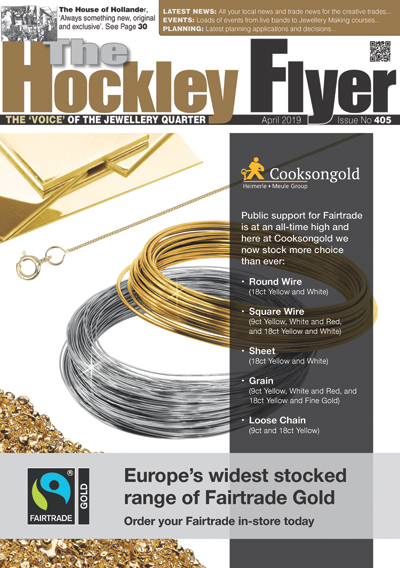 His many other achievements included helping to set up Assay Office Birmingham which continues to test and hallmark millions of precious metal items each year. The memorial was formally presented to the Dean of Westminster, the Very Rev Dr John Hall, by Marion Roberts, Chair of the Lunar Society from 2007-10. Pioneer of the Industrial Revolution’. friend, Birmingham printer John Baskerville. Indeed it has ‘Innovation’ in its DNA thanks in no small part to principles instilled by its Founder. A wonderful touch saw the City of Birmingham Flag flying above the Westminster Abbey throughout the day.